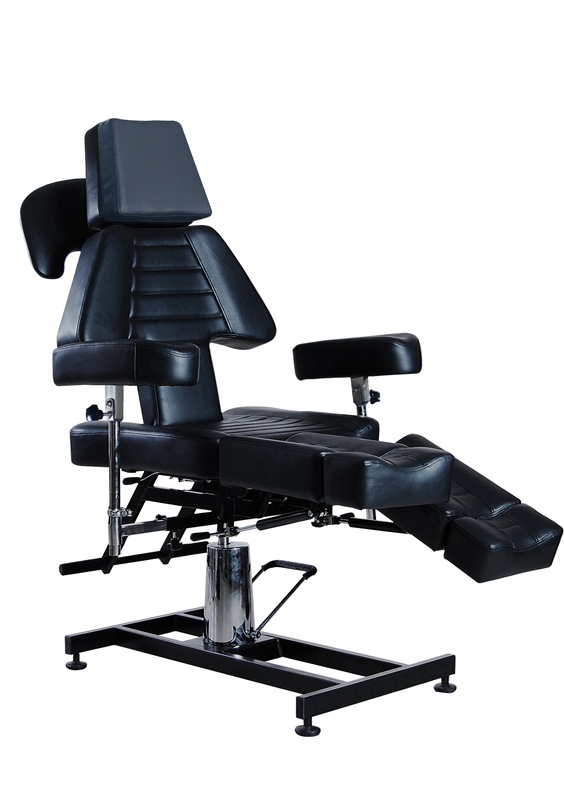 Thick foam footrest, seat and backrest cushion. 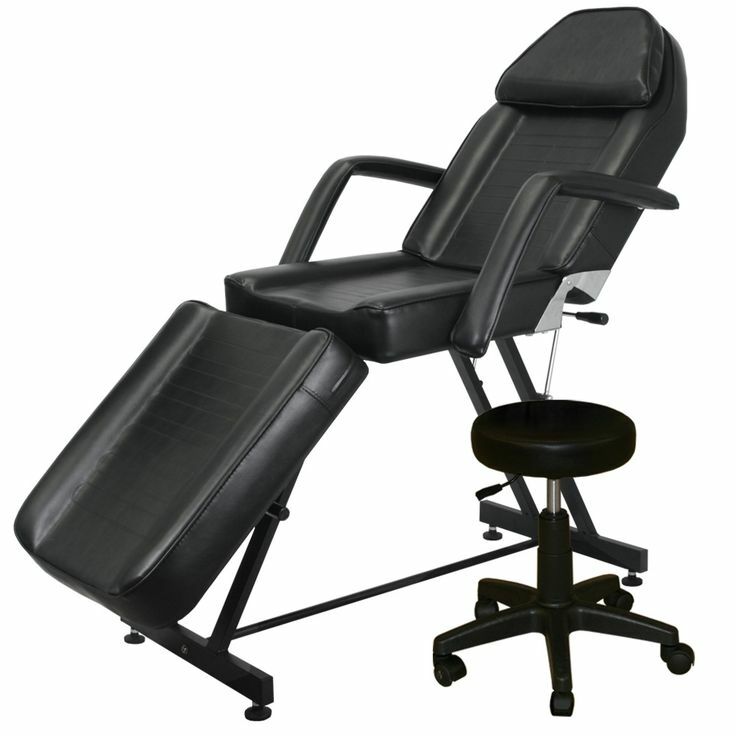 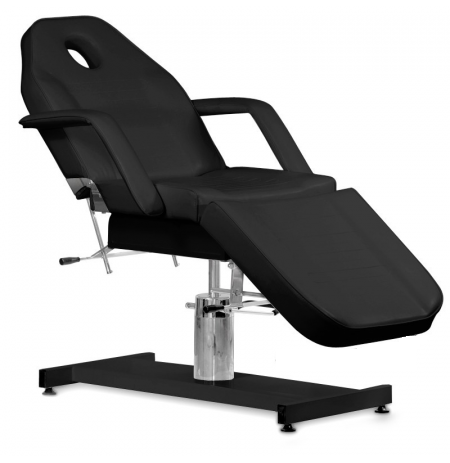 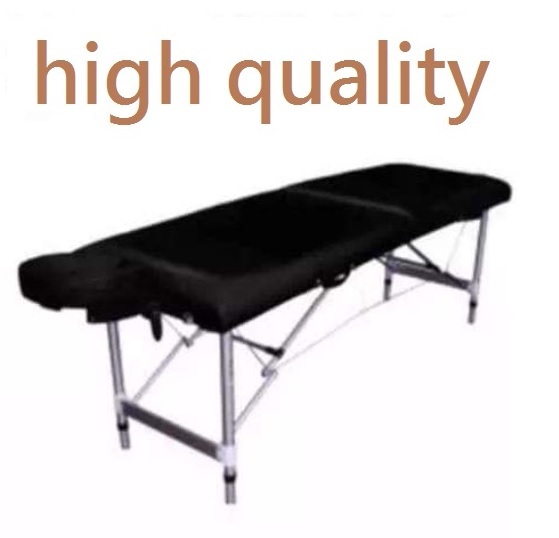 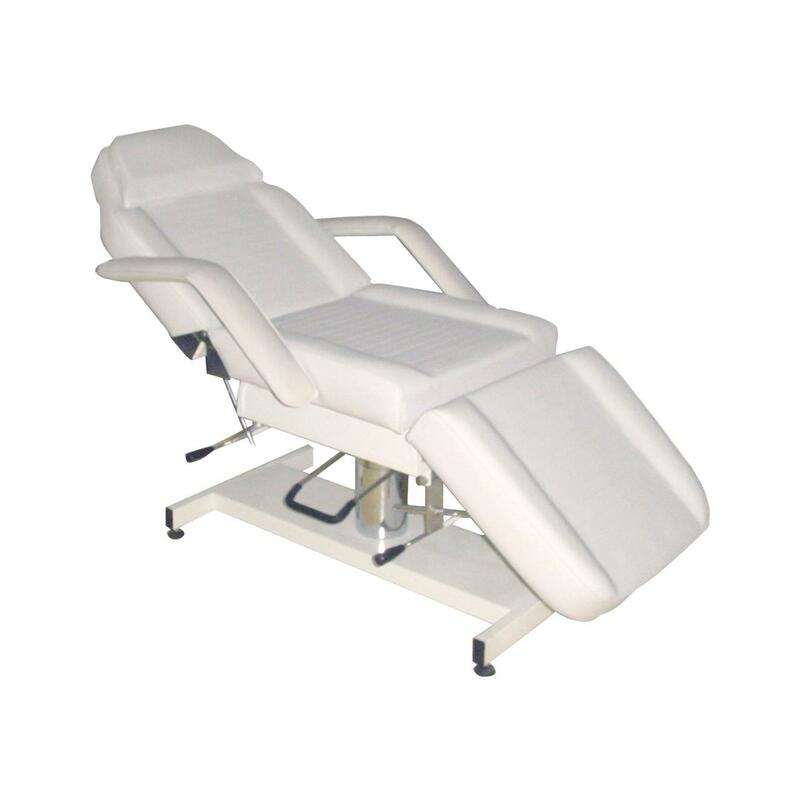 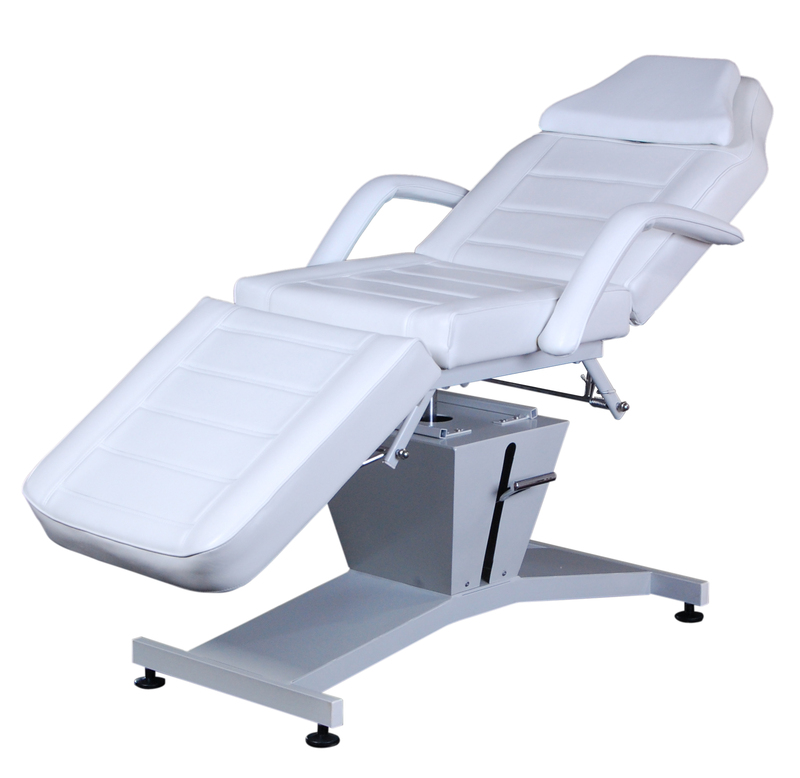 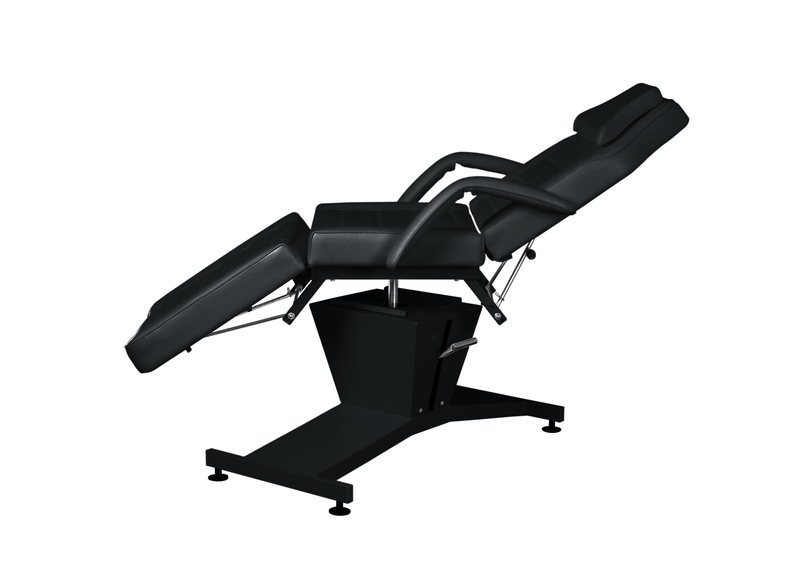 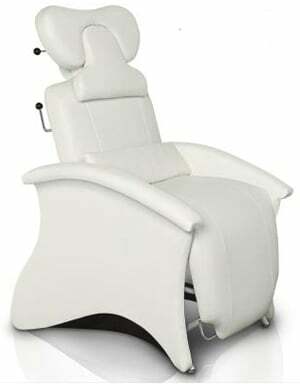 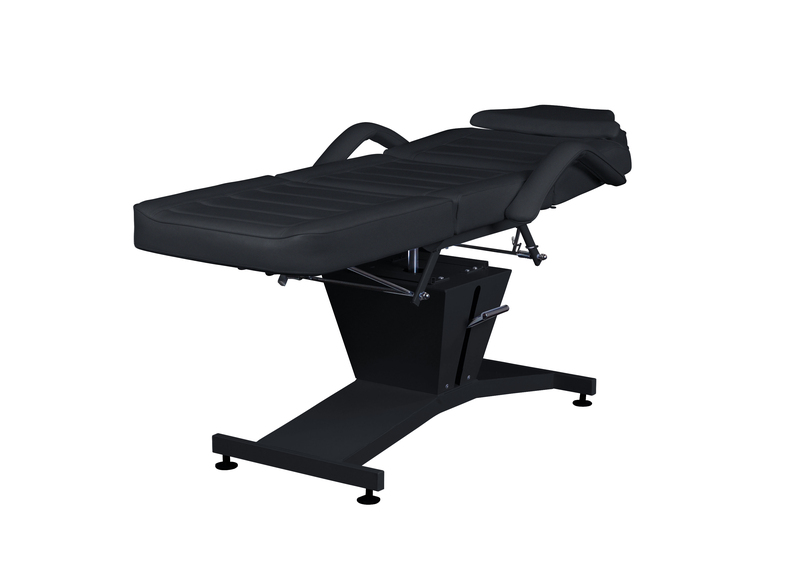 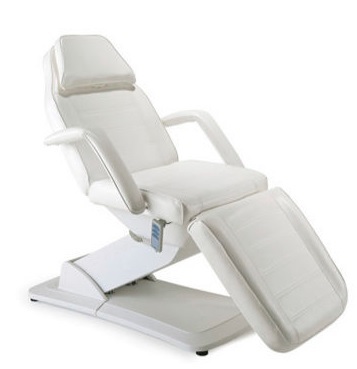 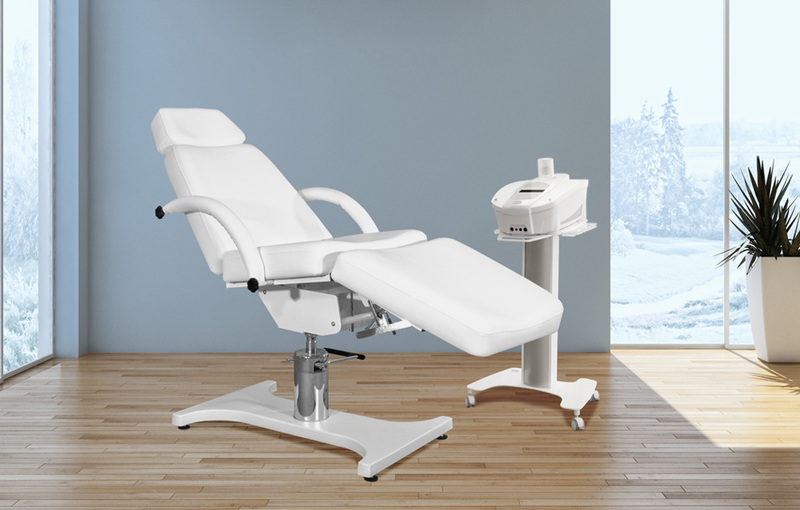 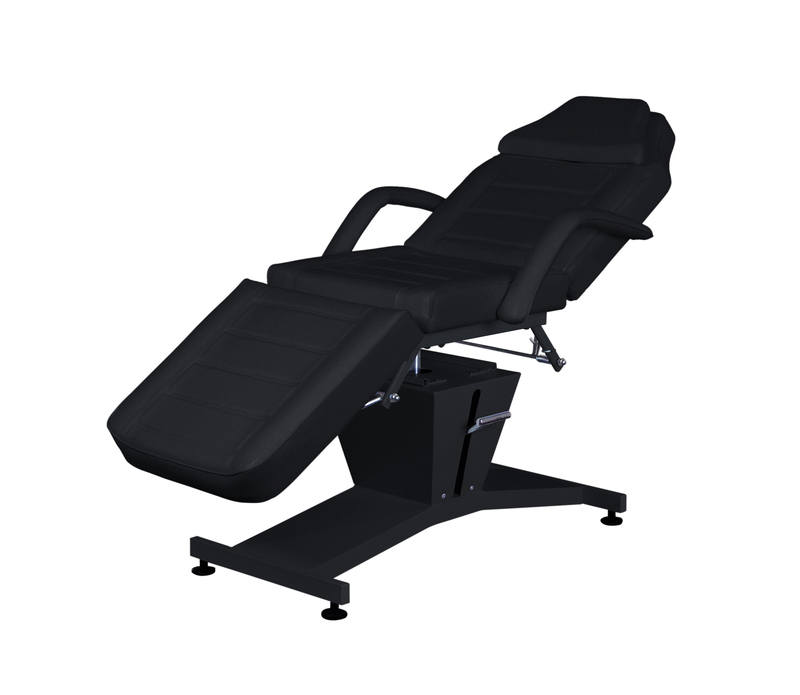 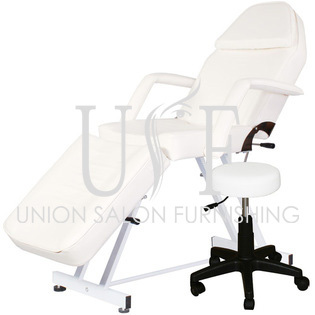 Adjustable headrest, backrest and leg rest. 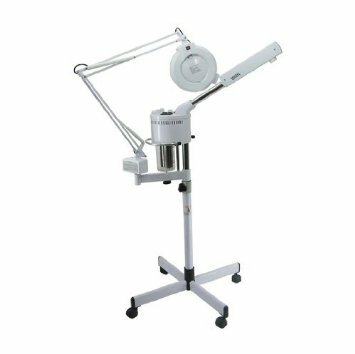 Removable arms (without nuts or bolts). 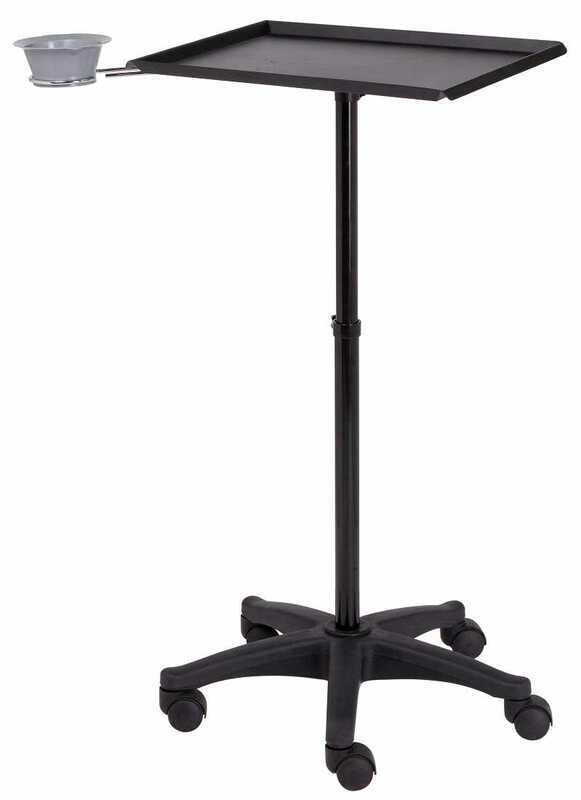 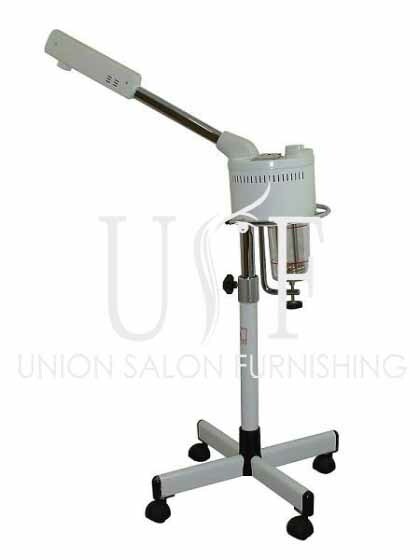 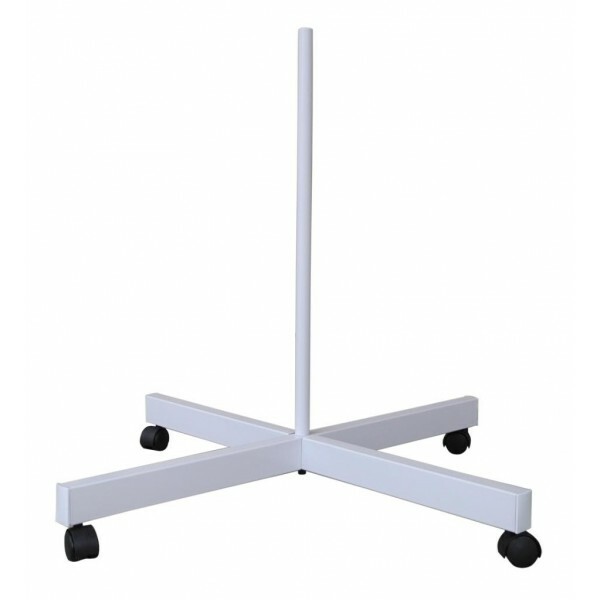 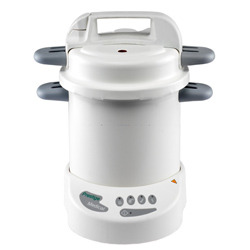 Adjustable Height: 25" - 30.5"